Kept in Museum of Turkish and Islamic Arts, Istanbul, Turkey. 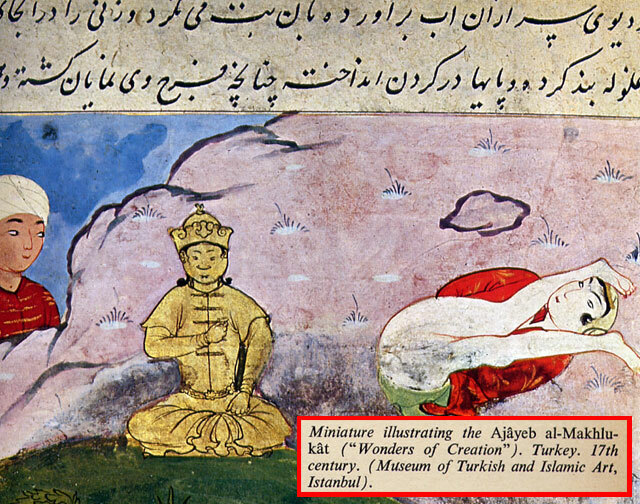 This is a miniature illustrating the Ajayeb al-Makhlukat or Wonders of Creation. The text has been written in Persian, but it possibly belongs to Ottoman Period.